A Streusel Topping makes a wonderful addition to a muffin, a fruit crumble and many other desserts. Making one is simple to do with these cooking tips and a food processor, and takes just seconds. Let’s make a Streusel Topping! 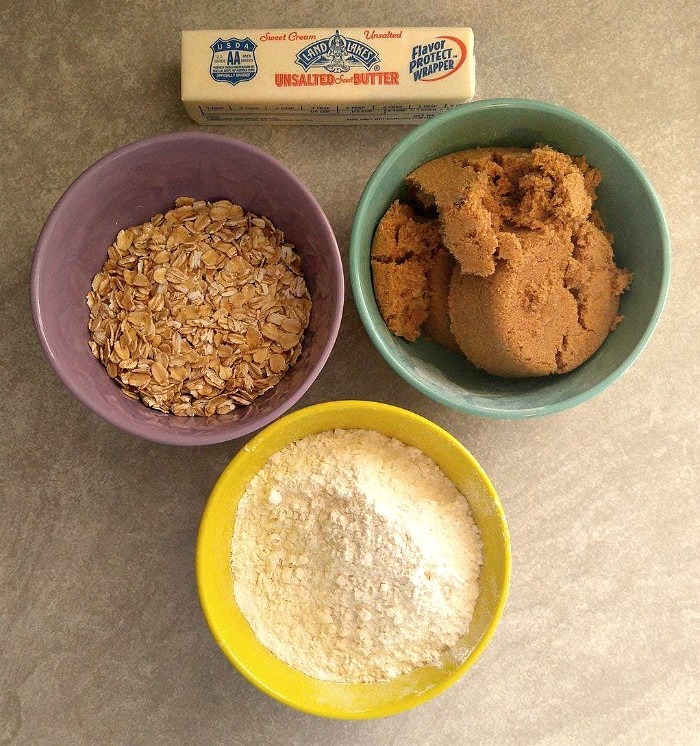 Most streusel toppings are made of a mixture of three ingredients as a base – flour, sugar and butter. Other ingredients can be added, such as rolled oats to give it more texture and fiber. The sugar can be granulated or brown sugar. Sometimes spices are added for extra flavor. For today’s streusel tutorial, I am using oats and brown sugar. The ratio is not set in stone. If you want it sweeter, add a bit more sugar. More buttery and crispy, add a bit more butter. As long as you are somewhere near the ratio, you will be fine. 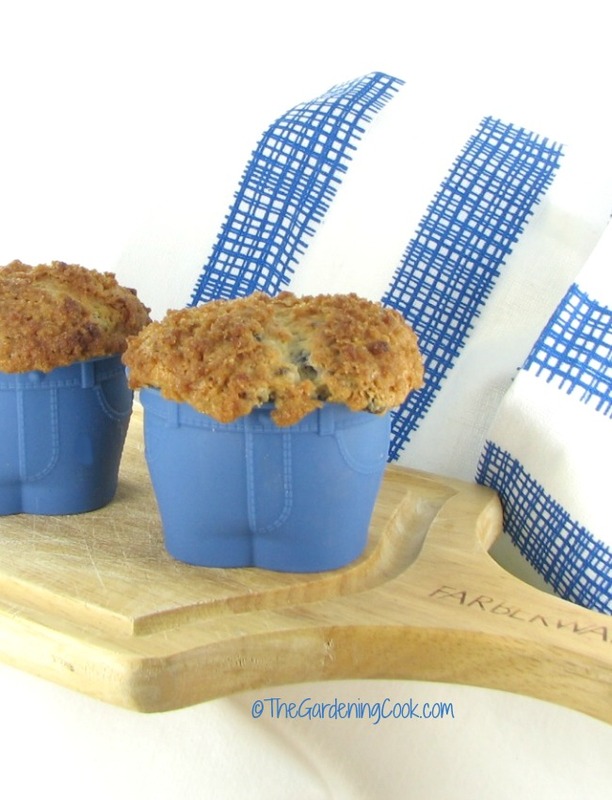 The recipe can easily be doubled for large desserts, or cut in half to make toppings for muffins. 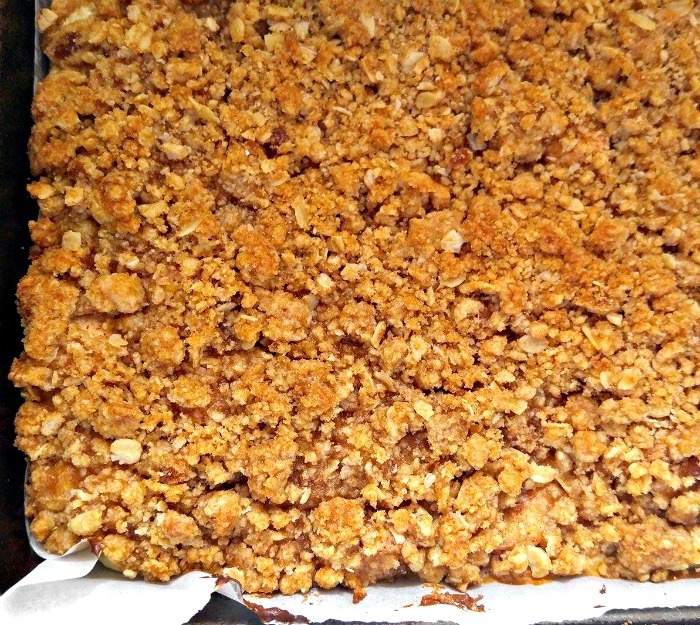 You can even make a gluten free version such as the one that I used for my cherry crumble recipe. 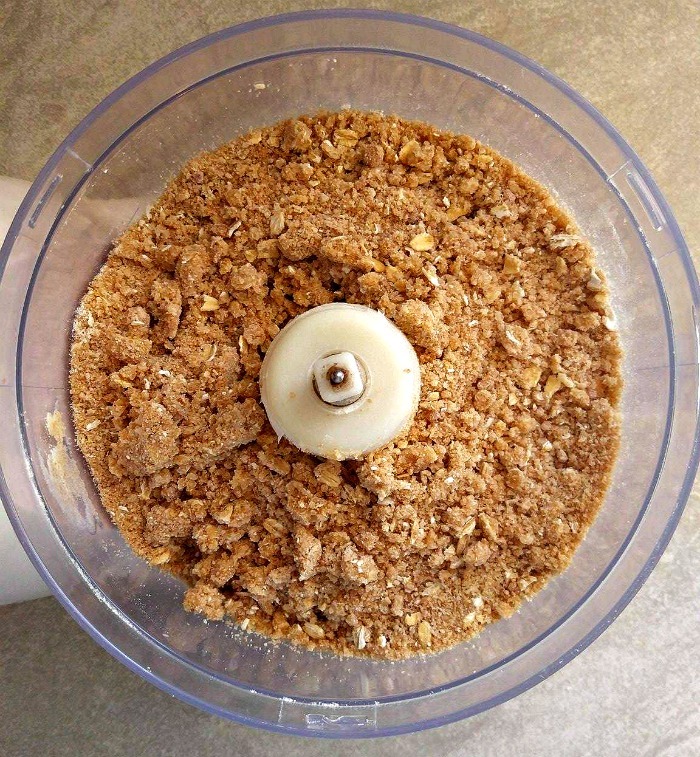 A food processor makes it easy! 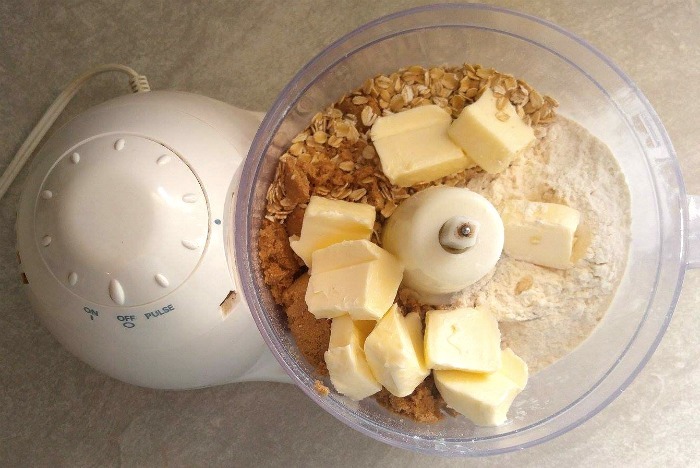 Be sure the butter is at room temperature and place everything in a food processor. Pulse for a few seconds and the crumble is done. Seriously…how easy is that? Spread the topping over whatever you would like to add some streusel flavor too. I love to use this topping on bars, muffins and fruit crumbles, and it also makes a great garnish for baked apples and pears. Finally, pop your streusel topped dessert into the oven and cook until the dessert is finished and the crumble is golden brown and buttery crisp. Look at the lovely color! 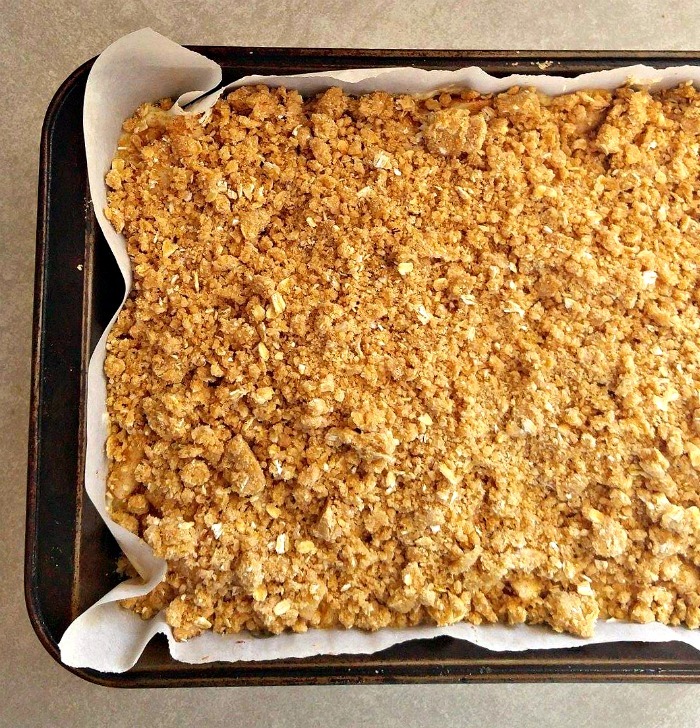 The streusel will get crispy and, if you use fruit, it will ooze up into it for a yummy texture. 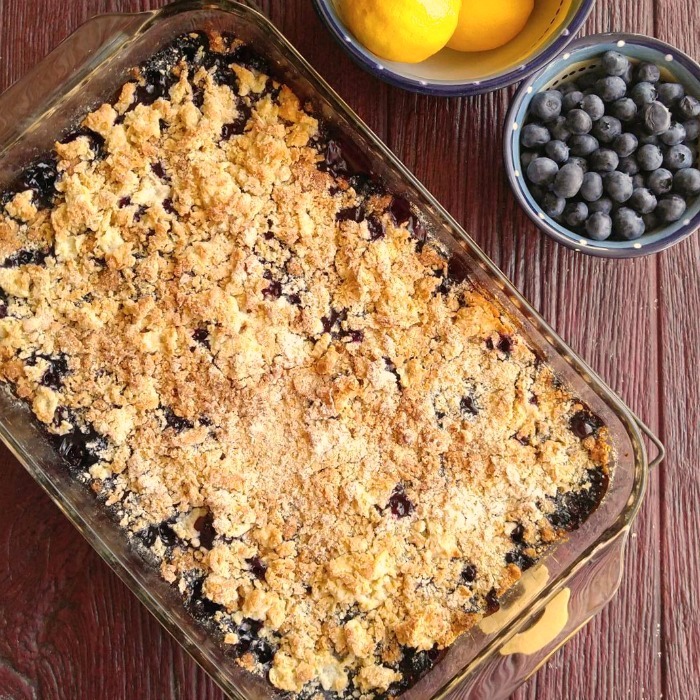 Is a blueberry streusel cobbler more your sort of thing? This one uses nutmeg in the topping for a bit of zest. What is your idea for using a streusel topping?